To mark World Oceans Day on June 8th, we have put together a selection of Nature Ecology & Evolution papers on marine topics. Plastic pollution is a key theme of this year's World Oceans Day. 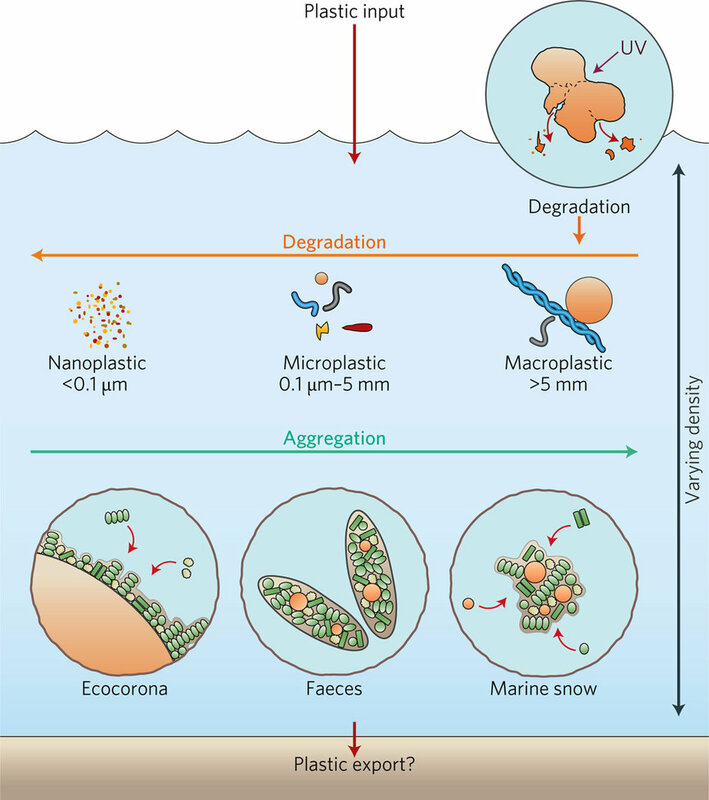 Tamara Galloway and colleagues review the biological impacts of interactions with microplastics in the marine environment. About 30% of global fish stocks are overfished, and reducing this is a target of the Sustainable Development Goals. An analysis of fisheries data by FAO scientists shows that progress in developed countries is not mirrored in developing countries. 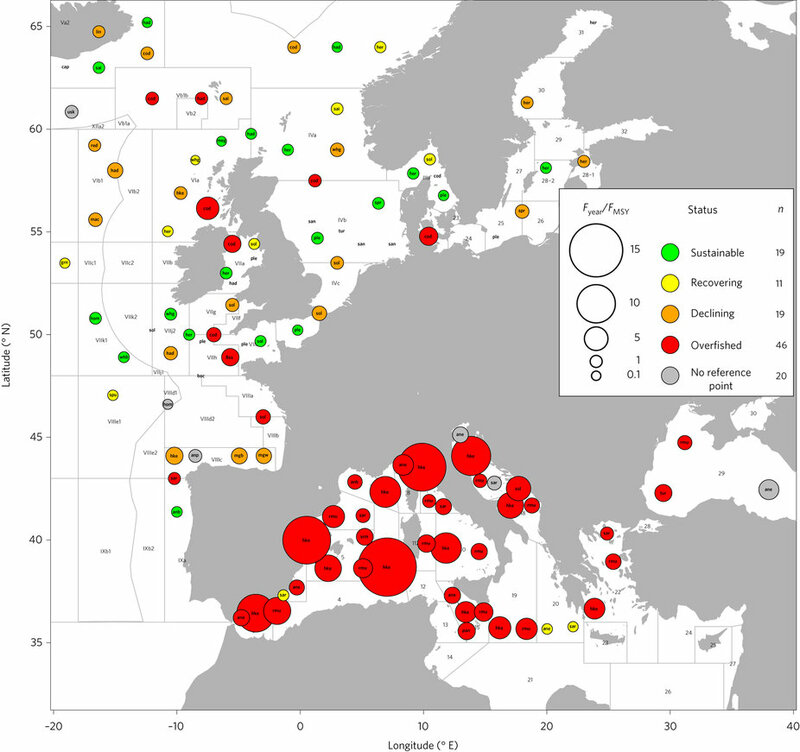 An assessment of the conservation status of 1,020 European marine fishes reveals half of large (>1.5 m) fishes are threatened with extinction. Also, stock status diverges geographically: almost all Mediterranean stock is overfished, whereas most northern European stock is not. 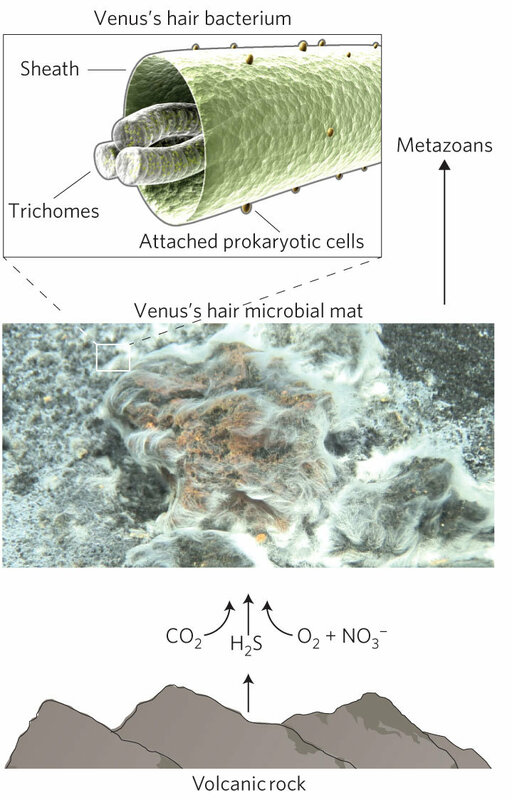 Amphipod fauna from the deepest ocean trenches are revealed to contain significant levels of persistent organic pollutants. The associated News & Views is available here. 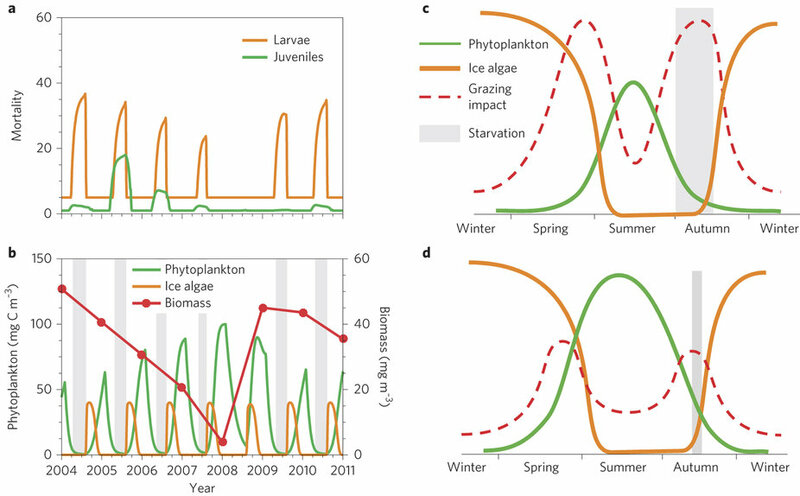 It is not fully understood what factors drive population cycles of Antarctic krill, one of the most abundant animals on Earth. 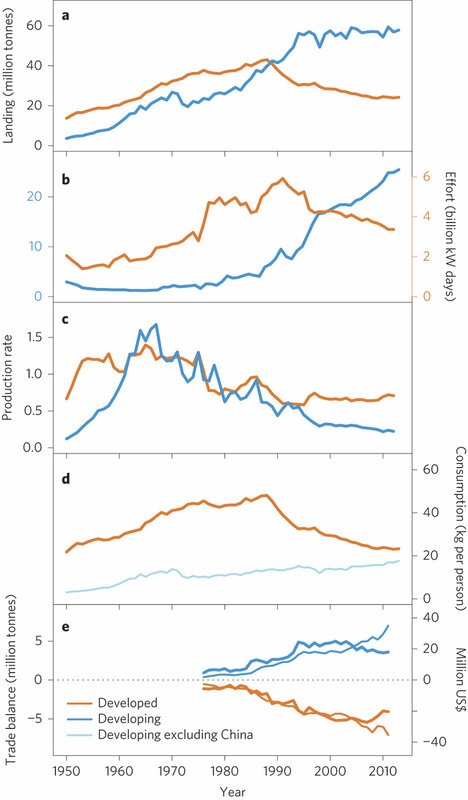 Contrary to previous work focusing on climatic factors, here the authors identify intraspecific competition for food as the primary driver of 5–6 year oscillations. 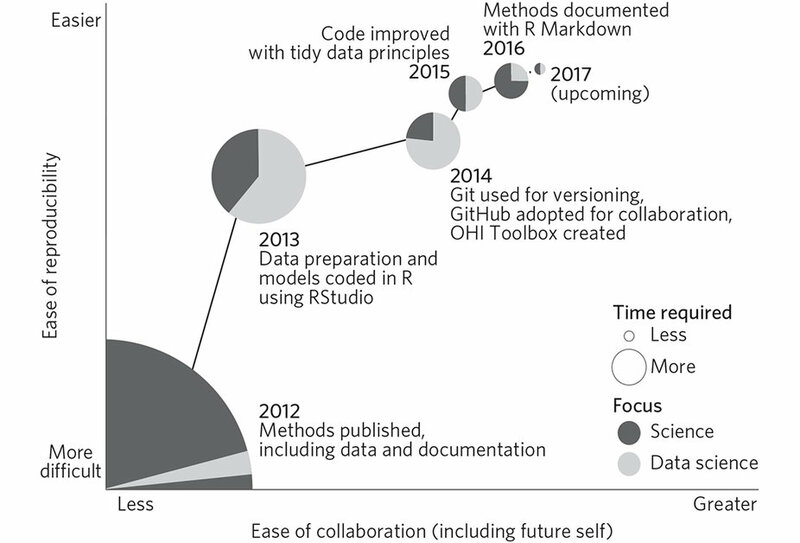 Reproducibility starts with having a transparent and streamlined workflow. Julia Stewart Lowndes and colleagues describe how they achieved this using open data tools for the collaborative Ocean Health Index project. 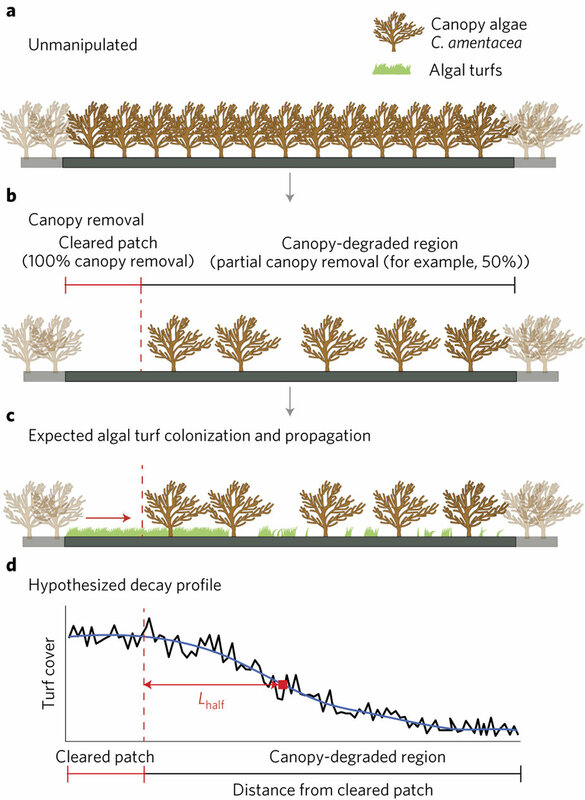 Spatial indicators of ecosystem-critical transitions have so far only been confirmed in the lab. Here, the authors show that increasing recovery length provides a spatial signature of critical slowing down in a natural intertidal community. 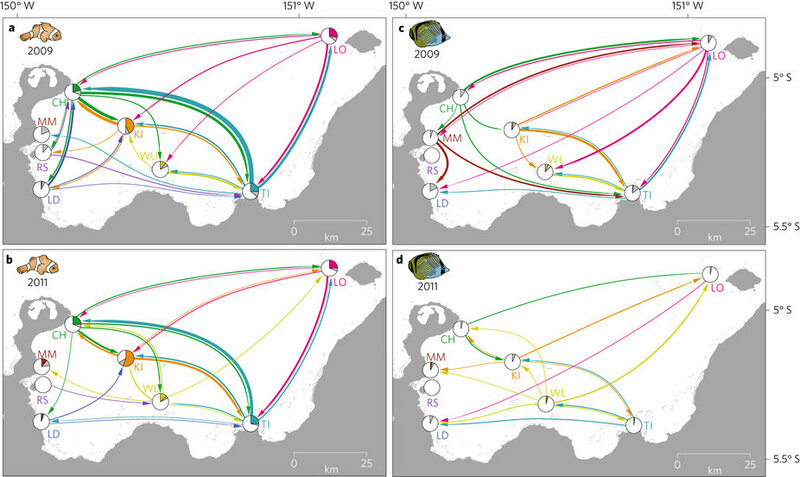 Larval dispersal of clownfish and butterflyfish across a 10,000 km2 area was tracked over 2 years, a large enough scale to inform the design of marine reserve networks and test their performance. 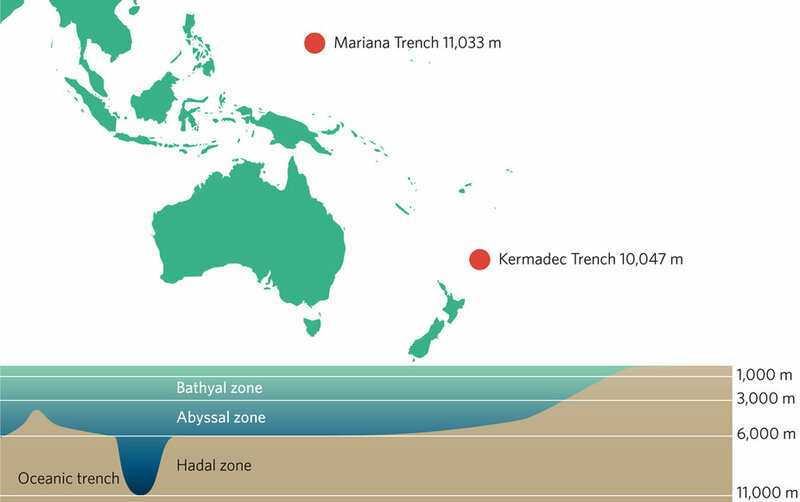 Following a submarine volcanic eruption that cleared the local seafloor, a new microbial genus and species of bacterial trichomes, named Thiolava veneris, colonized the substrate 130 m below sea level. You can read the associated News & Views here. Gene flow between wild and farmed salmon is known to be widespread. 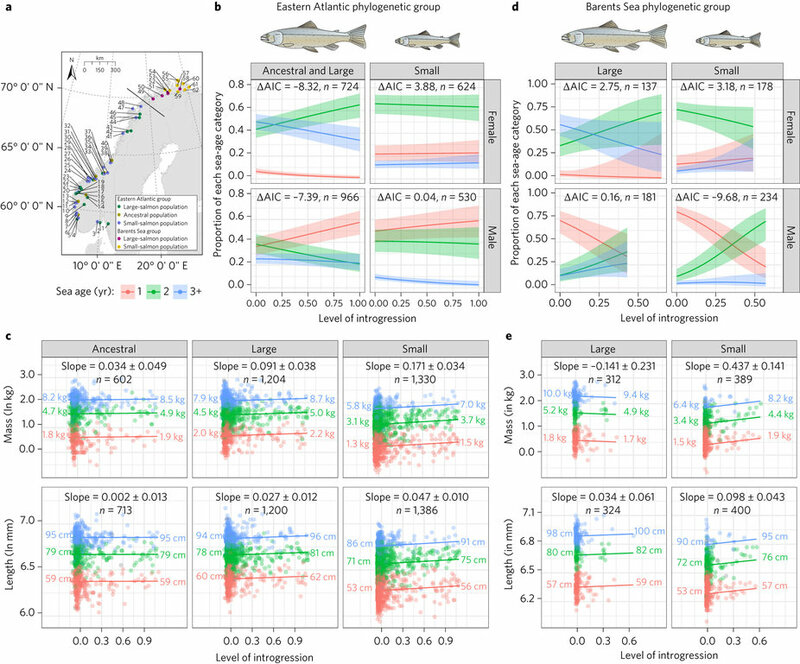 Here, the authors show that introgression with domestic conspecifics has demographic consequences for wild Atlantic salmon by altering fitness-related life history traits. Three new bivalve genomes are resources for comparative genomics over broad timescales, providing a glimpse into the evolution of understudied marine animals and their adaptations to extreme environments. The two research papers are available here and here. 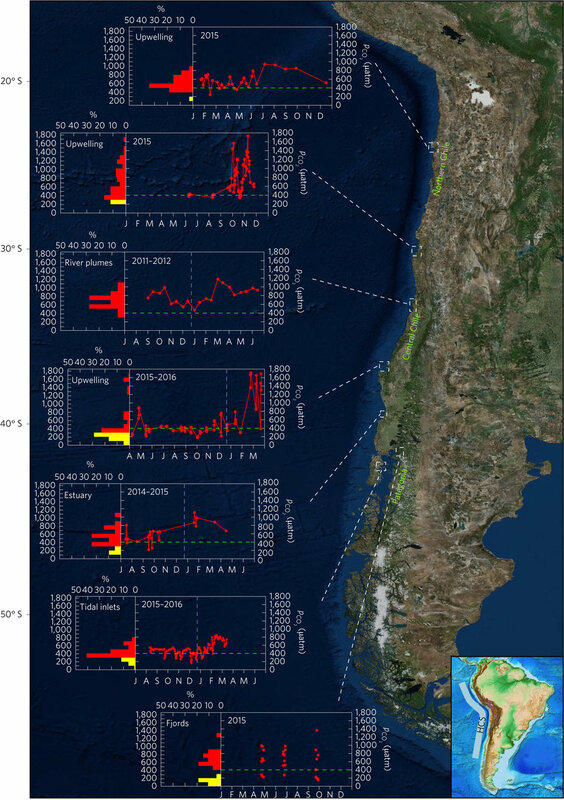 Marine species distributed along environmental gradients may experience large-scale heterogeneity in ocean physicochemical conditions. Here, the authors develop an index to account for this variability in studies of responses to ocean acidification. Given the growing and seemingly limitless capacity to industrialize the oceans, this Comment article explores how to effectively measure, monitor and sustainably manage this seventy-one per cent of the Earth's surface. Although marine protected areas are designed to conserve biodiversity, they typically do not account for the conservation status of species within them. 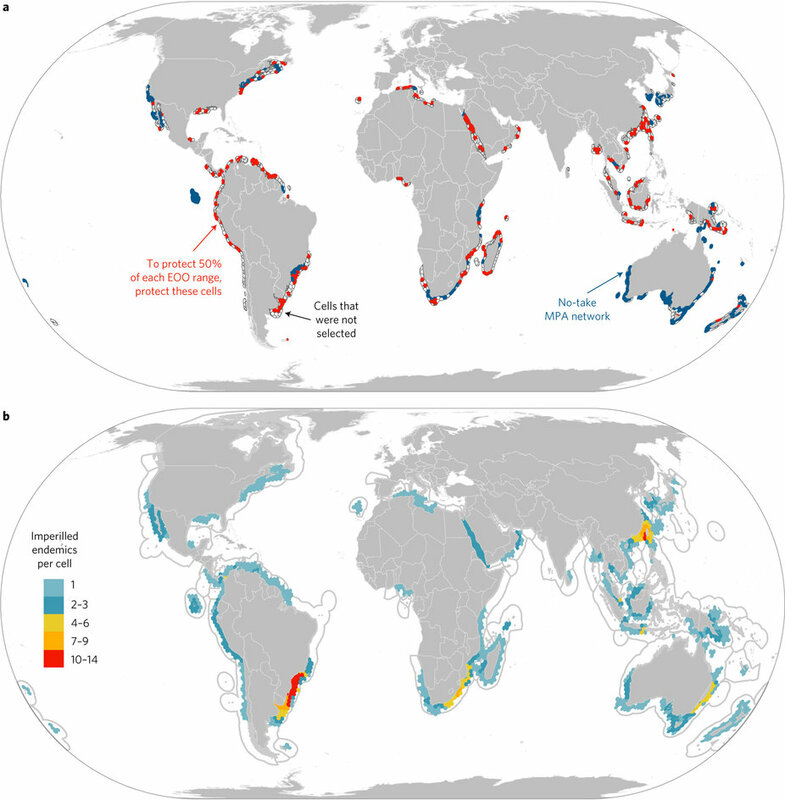 Here, the authors identify hotspots of extinction risk among the world’s sharks and rays that require targeted conservation action. Environmental DNA from water samples can be used to detect the presence and abundance of aquatic organisms. 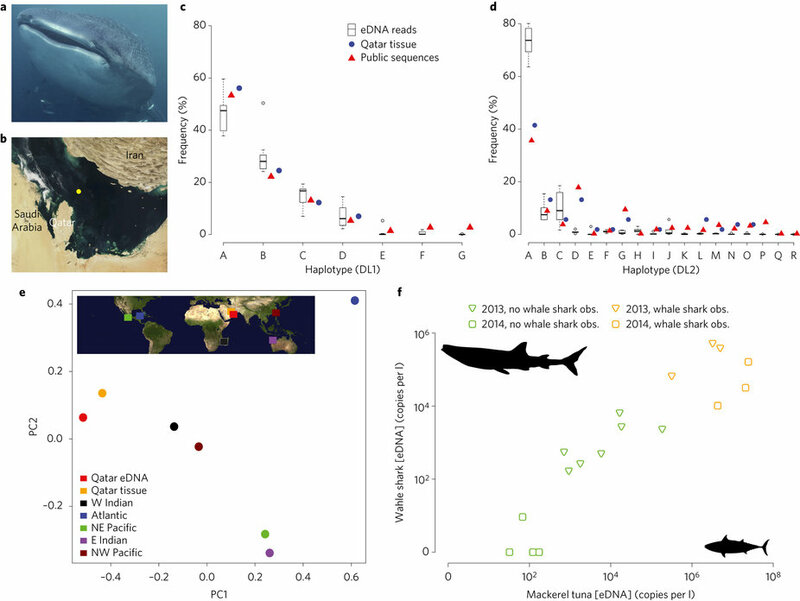 Here, the authors show that it can also be used to obtain population genetic information from whale sharks in the Arabian Gulf. You can read the associated News & Views here. 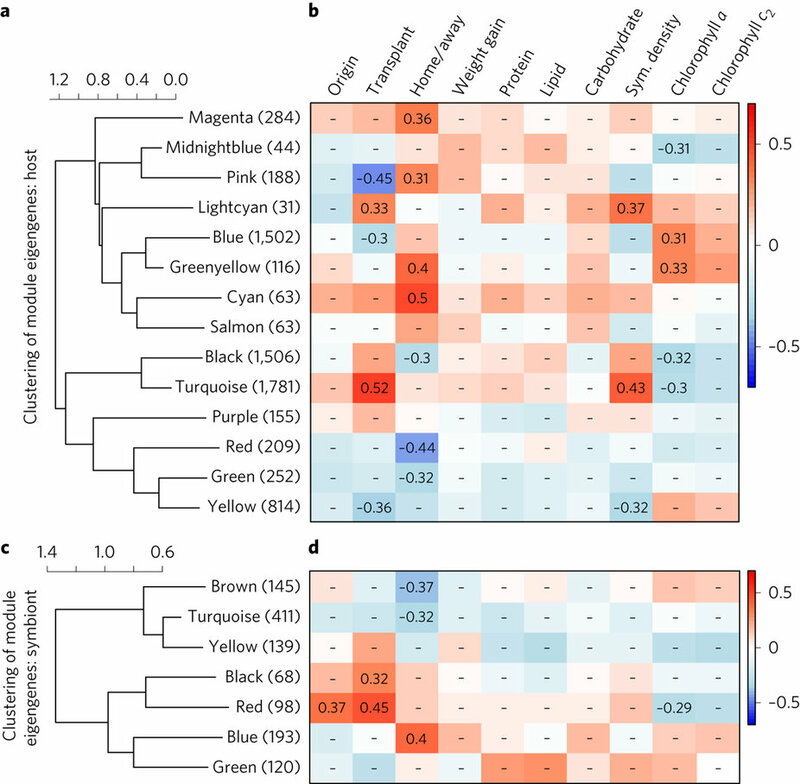 What are the molecular mechanisms underpinning local adaptation of coral? Reciprocal transplant of mustard hill coral from a variable to a more stable habitat demonstrates that populations exhibit phenotypic signatures consistent with local adaptation.